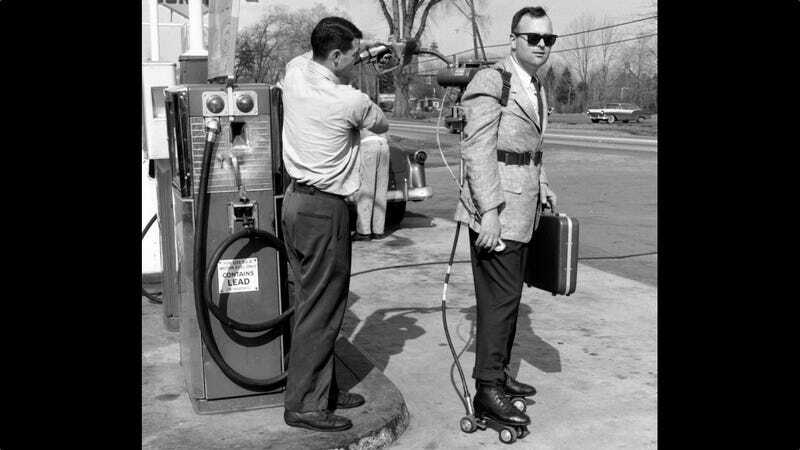 11th May 1961: Salesman Mike Dreschler has his motorised roller skates refuelled at a petrol station near Hartford, Connecticut. He has a single horsepower air-cooled engine strapped to his back and holds a clutch, accelerator and engine cut-off switch in his hand. The station, visible on the portrait-oriented original, is a Sunoco.